It’s about that time… once again our loyal readers banded together and created another collection of original instrumentals. 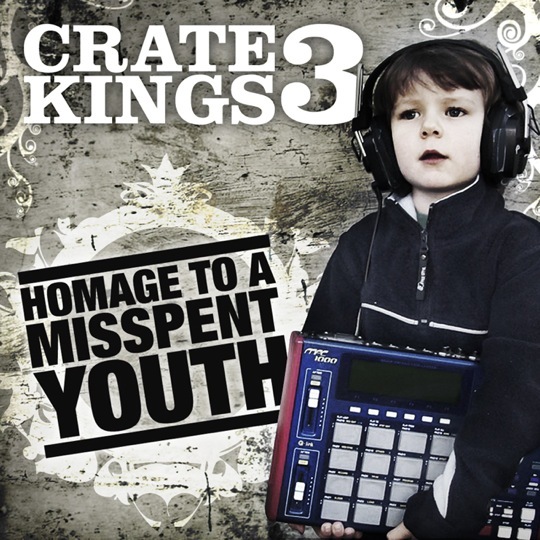 Crate Kings Vol. 3: Homage To A Misspent Youth takes a shot at reinterpreting retro video games, movies, and TV shows. As always, done strictly for the love, each Crate Kings volume features the original production and mixing from site readers, producers, and beatmakers who craft beats with the sole intent of pushing boundaries and playing with sound. Back cover + tracklist after the jump. Yo can we get this as spilt .mp3 files instead of one long track? If I hear something good (which I’m sure I will) I want to be able to instantly rewind on the iPhone instead of having to scrub through the track to find the beat I was just nodding to…I hated having to do that with that Nas/Green Lantern mixtape that dropped earlier in the year…. Damn! Rayeza’s Beat (39:02) is not from this world!!! anyone knows the sample? this beat is fckin crazy! Mad props! Awesome Mix, wish i could have been on a track, ill tracks. Not one weak track either… Props Props Props! Just corrected the text tracklist… the back cover still needs to be done though. yup, that’s my bad, sorry about that. #9, Halo Inda Hood was by Chi-Stey, not Mello. Damn. Whens the next mixtape going to be done? I want in. This $hit is FIRE!!! Good work everyone. Anyway someone can get some of these beats to spit on too? Great tracks, very interesting composition! What a funny blog! 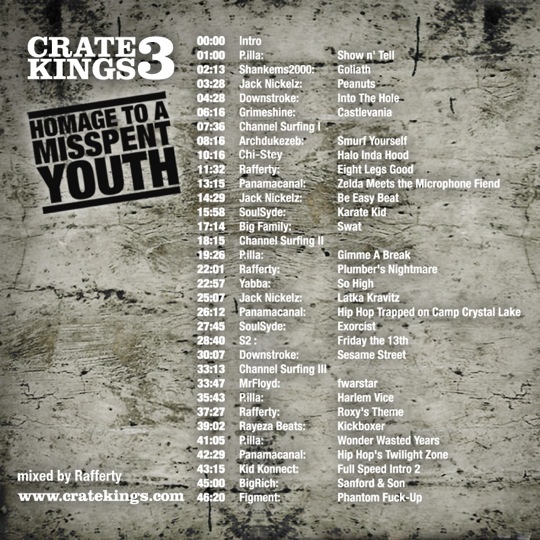 I actually Crate Kings Vol. 3 – Homage To A Misspent Youth (Download) enjoyed watching this comic video with my relatives as well as with my friends.